This region of Sicily is perhaps the most popular part of the Mediterranean's most iconic island — and for good reason. Europe's largest volcano, ancient archeological sites, shimmering turquoise waters, and easy to navigate resort towns are all reasons travelers flock to this region of the island in droves each year. Step slightly off the beaten path, however, and it is still possible to catch a glimpse of the Ionian coast's beauty, history, and culture. This tour is great for visitors looking to experience a variety of landscapes and historic towns in a relatively short amount of time. You will cut down on travel time by staying primarily in the northeast corner of Sicily and will spend your seven days exploring mountains, beaches, architecture, and ancient ruins. It's great for travelers looking for a well-rounded experience of Sicily that can be tailored to their specific interests and energy levels. 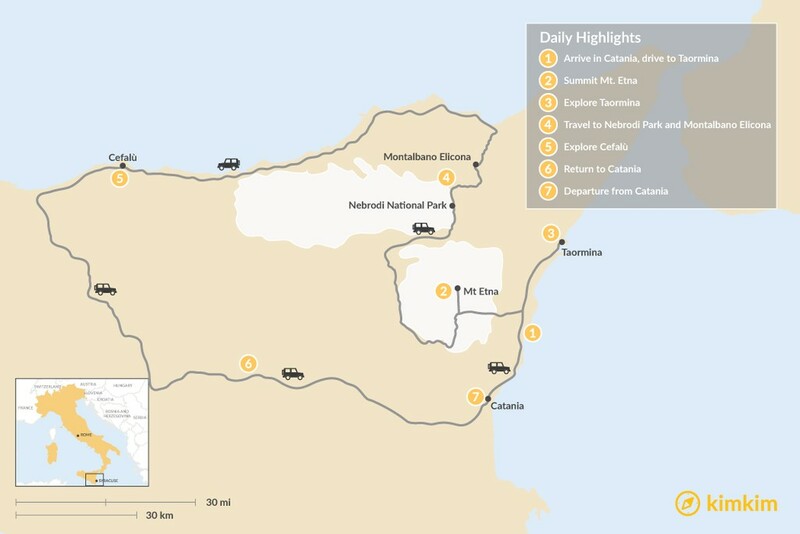 When you land in Catania, the home of Sicily's largest airport, rent a car and drive north out of the city. You'll drive along the Riviera Dei Ciclopi, a legendary coastline that was the backdrop for a scene right out of the Iliad. As the story goes, Ulysses fled the Cyclops Polyphemus here. The boulders strewn along the coastline were thrown by the monster as the hero escaped. 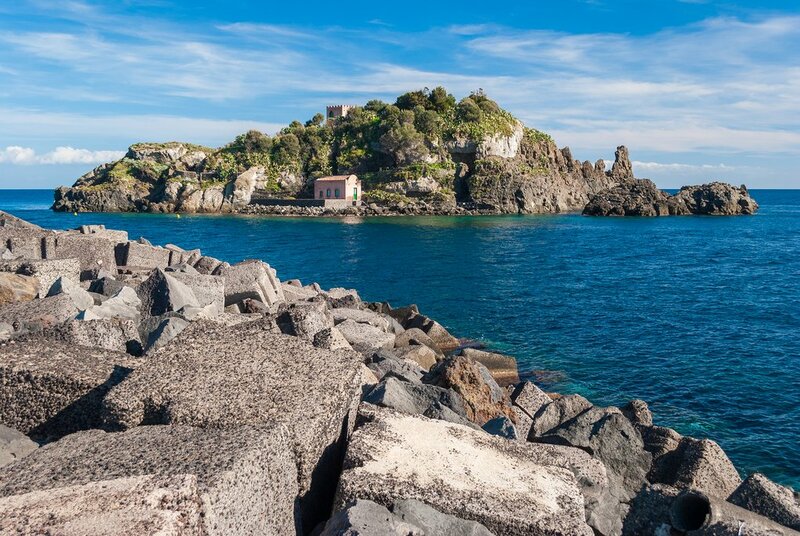 The coastline between Catania and the resort region of Taormina is incredibly picturesque. Take your time traveling through here before checking into your hotel that evening in Taormina. Enjoy a night out in this charming resort town. The scenery of Mt. 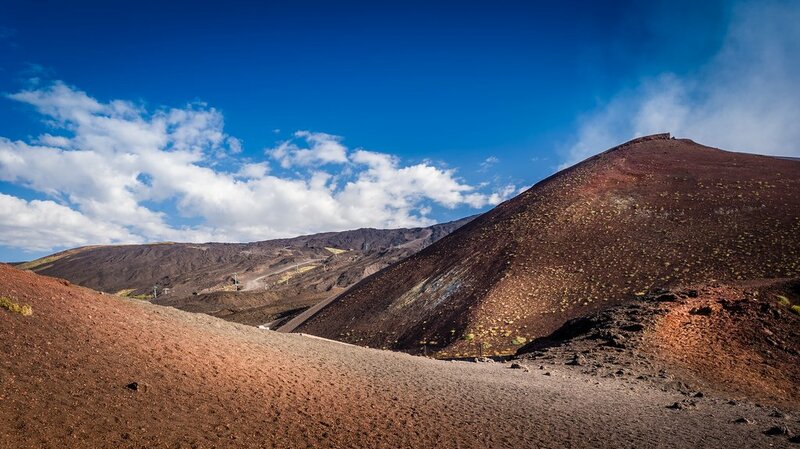 Etna makes for quite a contrast with the rest of Sicily. 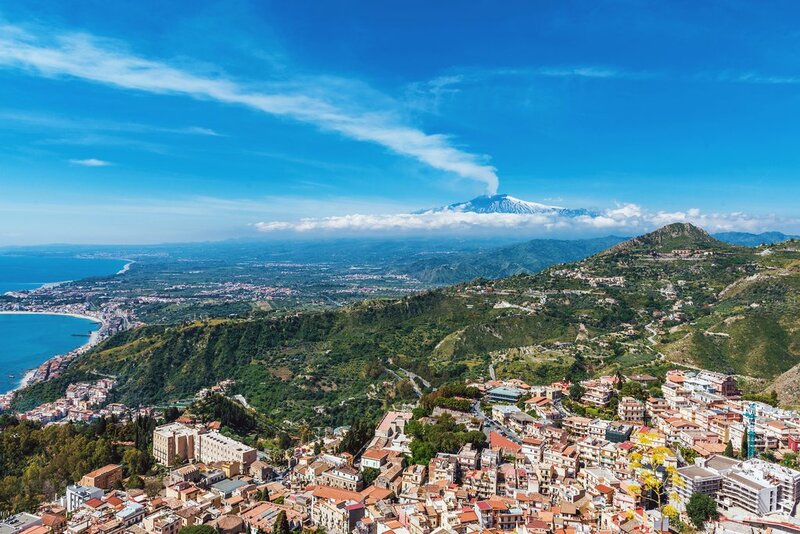 After fueling up on breakfast in Taormina, head into the hills towards Europe's largest volcano. You can hike to the top or catch a ride. In either case, the views are spectacular. On your way back to Taormina, stop for wine tasting or an aperitif in the foothills. Return to Taormina for the evening. 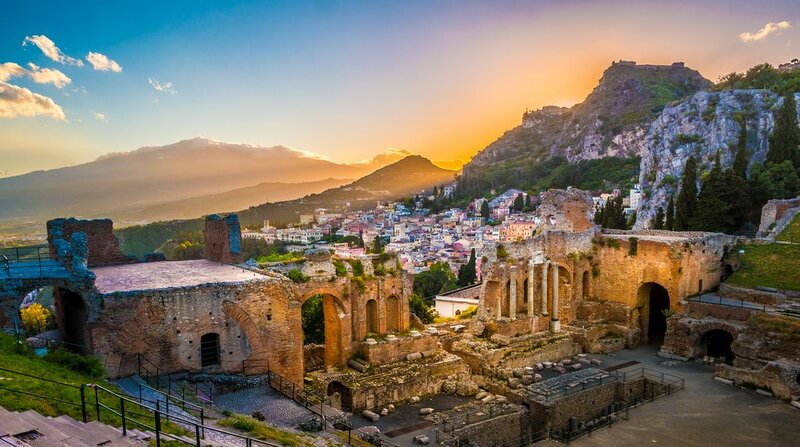 Day 3: Explore Taormina's beaches, ruins, and culture. After spending a few nights in the city, today you will get to know this popular resort town. It's incredibly scenic and known for its views of Mt. 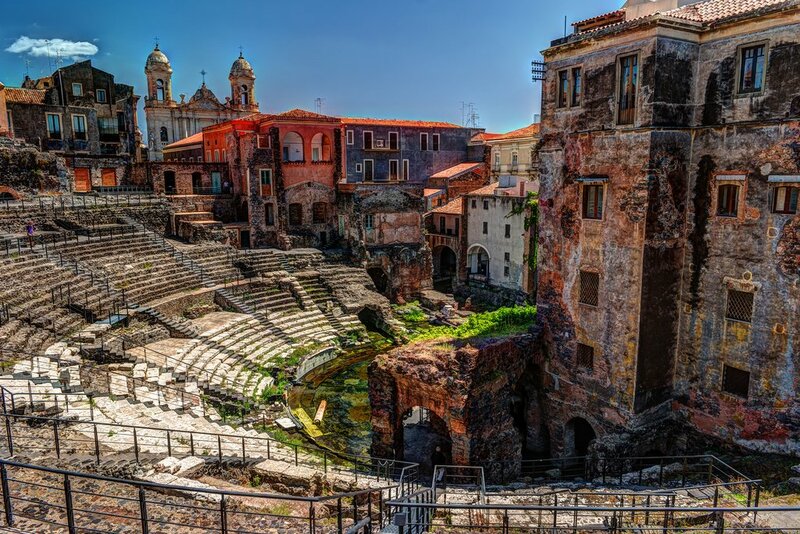 Etna and the Mediterranean Sea, high-end hotels, and ancient Greek Theater, the Teatro Greco. Start your day with a tour of the ancient ruin and then have lunch out on the town. Take a cooking class or relax at the beach in the afternoon. You'll have one more night here before heading inland in the morning. Nebrodi Park is a great place for hiking and even camping if time allows. When you are ready to pack up and leave Taormina, head towards Sicily's largest national park, Nebrodi. It's rarely visited but offers incredible vistas of Mt. Etna and the surrounding forests and rivers. 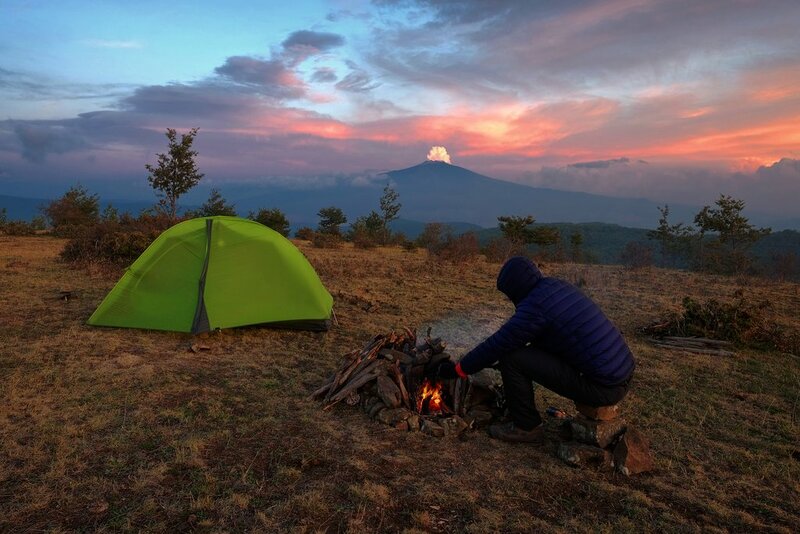 Hiking and mountain biking are the most popular activities there. Once you get your fill of the mountainous scenery, continue on to Montalbano Elicona, widely regarded as one of the most beautiful villages not just on the island, but in all of Italy. It features a medieval castle, a Byzantine chapel, and old, narrow alleyways. In addition to its charm, the town is also known for its local cuisine. The ricotta-based desserts, cheesy pasta, and lentil and pork dishes will have your mouth watering non-stop while you are here. When you have your fill, drive to Cefalù and check into your hotel for the night. 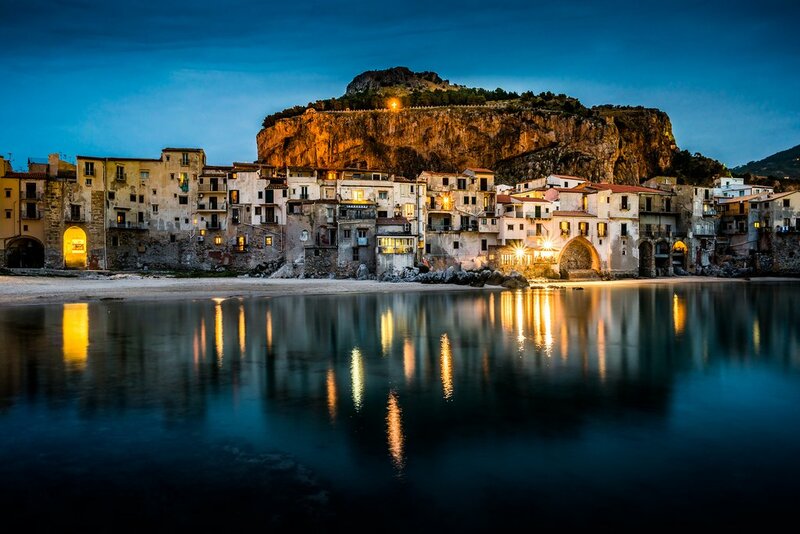 Cefalù's beaches are stunning day or night. 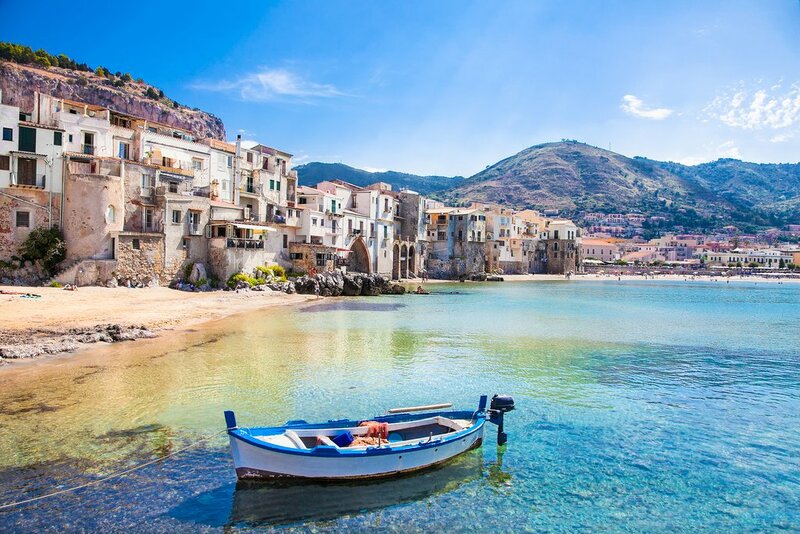 Another popular resort town along Sicily's northern coast is Cefalù, a stunning example of Arab-Norman architecture and turquoise harbors. If you are interested in historic tours, don't miss out on a visit to the Duomo, an impressive medieval church built in the 1100s. Summer visitors will fall in love with the unpretentious white sand beach that stretches alongside the harbor. If you would like to stretch your legs, a massive crag known as the Rocco towers above the downtown area and provides a rigorous workout. Close to the top are the ruins of the Tempio di Diana. The steep climb to this archeological site offers a more intimate glimpse into ancient times than other, more crowded ruins you might visit on this trip. Enjoy dinner on the town before returning to your hotel. Catania is a unique blend of ancient, Baroque, modern, and other styles of architecture. Early in the morning, drive two hours back to Catania to explore the urban center before heading home. This youthful and charismatic city reels you in with its irresistible charm, dazzling skyline, and patchwork-like mix of architecture. Spend some time shopping in the piazza, eating in the local restaurants, and walking the historic streets. Spend the night in a hotel located in the city center within easy walking distance to shops and restaurants. When you wake up, take one last stroll through the town's center and pick up breakfast before packing up and heading to the airport. Be sure to take one last look at the island as you fly away.